The bible is history? So a snake really talked? And god turned a woman into a pillar of salt? And appeared as a burning bush? And carved commandments on breakable stones? And sent "she-bears" to maul 42 kids for calling a guy bald? And this god magically impregnated a virgin to become his own son? And who then temporarily died? And then became a sort of supernatural zombie, a god-man? And then whisked off to heaven? And now sits in judgement of everyone in trinity fashion? Really? Who knew? Or, is just some of that historical? How do you know which magic is the "true woo"? If you don't believe that the bible is history does the god of the bible punish you for all eternity? Do you consider the Greek Myths historically accurate? The Book of Mormon? The miracle claims in the Qur'an? Mother Goose? How do you decided which far fetched or supernatural claims really happened? Inner knowingness? I've heard that if you read the Book of Mormon and pray to know if it's true, god will give you a personal "testimony"! That must be true because there are millions of Mormons? If someone told you they saw a chupacabra...Do you believe they actually saw one...Or do you assume they saw something that THEY thought must be a chupacabra because they believe in chupacabras? I know incredulity isn't an argument. And I don't expect my incredulity to convince anyone else. But I do believe incredulity in the face of the kind of claims described above is fully justified. Sometimes it seems as if all the intellectual architecture of religion - the ginned-up metaphysics, the corkscrew epistemology, the selective attacks on science, the cloud-castles of exegesis - exists for the sole purpose of preventing us from taking a step back and saying "Aw, come on...really?" Even if there are bits and pieces of the religious texts which can be confirmed as true - geography or wars - so what? It doesn't mean the rest of the document is anything more than an extension of an oral tradition of origin mythology common across nearly every culture since 15,000 years ago when humans started to live in settlements abandoning their hunter-gatherer wandering. 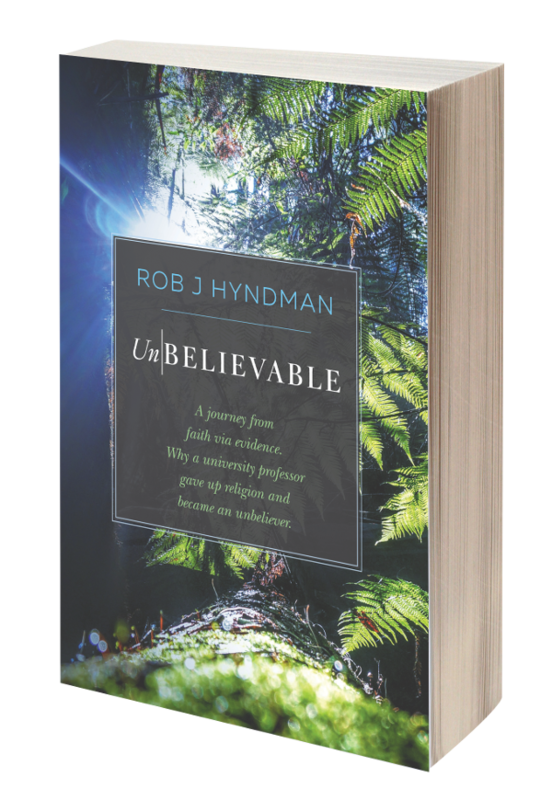 The UN-verifiable supernatural drivel still remains a matter of faith. The believers believe it's true because their faith conquers all doubt. Believing sans evidence, paradoxically, validates faith. Indeed, I was taught faith is the greatest virtue of the devoted and is the ultimate proof eternal life awaits. Faith in faith. If we believe the bible is history, we might as well believe that there aren't any witches anymore because the Christian Church burned them all. Or, that Balaam was a real, actual, flesh and blood sorcerer with the power to curse a people. Personally, I think people should just grow up and quit believing in Santa Claus.